AccuWebHosting has been providing multi-level web hosting services for over 14 years. With highly responsive customer support and scalable resources, AccuWebHosting offers value for money and finds favour with customers across the board. Alongside the widely popular Windows and Linux hosting, AccuWebHosting offers reliable hosting plans optimised for 9 different operating systems. Plus there are additional configurations available for running applications, such as Node.JS, Oscommerce, Joomla, WordPress, Magento and ASP.NET to name a few. AccuWebHosting combines performance and flexibility to deliver robust packages to meet basic and advanced hosting requirements. To their customers’ delight, they even provide complimentary SSDs and Cloud Flair on all hosting plans, including the shared one. AccuWebHosting never fails to impress with its insanely fast LiteSpeed web server that gets your webpage to load content in the blink of an eye. Further, their shared cloud hosting ensures hardware uptime of 100% and pure SSD Storage for more reliability. AccuWebHosting offers an easy-to-use control panel from where you can set up and manage your domain, as well as upgrade to a more powerful hosting plan as your website traffic grows. Talking of initial set-up, building a website on AccuWebHosting using free site builder is extremely easy. And with a choice of over 400 templates, you can design a unique, customized website for your business. When it comes to customer support, AccuWebHosting is highly considerate and responsive towards customers’ concerns. The company has been operating for over a decade, with data centers in the UK, Canada, US, France, Singapore, Australia, India, and the Netherlands. Its local presence across the countries is an assurance that they will be always there to help and respond in a language their customers understand. AccuWebHosting delivers a decent server performance, thanks to its modern infrastructure and Intel Xeon servers powered by quad-core processors for the superior speed and reliability. This gives customers the peace of mind that their website will be up and running without a hitch. Do you ever try reaching a website the second time if it was down during the first time? I’ll bet you never do that unless that’s where you want to be. Same applies to people who visit your website. AccuWebHosting makes sure you never lose out a potential customer to your competitors and therefore ensures 99.99% uptime. 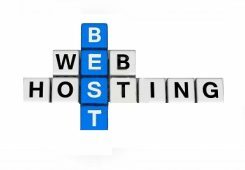 This also means that you are less likely to suffer traffic loss if you choose AccuWebHosting over any average host provider. Apart from that, your website will be closely monitored for any suspicious activity taking place in its proximity, day in day out. Knowing that your website is protected keeps you doubly assured and at peace. Most website owners ask how much should they beef up their website with graphics and videos without hampering user experience. The simple answer is any amount of media content is fine as long as your visitors don’t have to wait more than 2 seconds until the page content loads. Here’s what average server response time came out when we ran a test on one of the websites. AccuWebHosting has 8 server locations across the globe, based in the USA, France, India, the UK, the Netherlands, Canada, Australia and Singapore. We would consider the choice of 8 datacenters pretty flattering if we were to buy hosting from AccuWebHosting. The datacenters are strategically located to let you host your website closer to your customer-base and give them a better browsing experience. AccuWebHosting offers SSL certificates with 256-bit encryption enabled on your websites and subdomains, depending on the plan you purchase. Also, with round-the-clock monitoring, rest assured that your website is safe and secure. With AccuWebHosting, CDN hosting is an additional service you can purchase for your websites hosted on any server. If your website receives traffic from several locations across the globe, CDN will ensure a fast browsing experience for customers. AccuWebHosting offers hot link protection in their Linux shared environment. The feature can be enabled from the cPanel itself. AccuWebHosting provide SSL plans according to your requirements and budget. For instance, if you want to secure 1 website, you will have to pay $49 a year but if you want to secure up to 100 websites, the annual charges will be $75. If yours is a multi-faceted businesses with 1 main domain and several subdomains, we recommend the plan that is worth $175 a year, covering 1 domain and unlimited subdomains. AccuWebHosting offers SSH access with their Linux VPS hosting plan. Also, you will have Full root access of the VPS to you. This is useful for those who want secure command line access to their hosting server. With AccuWebHosting, you can enjoy two-factor authentication in the client billing area to avoid making payments by mistake. It also adds an extra layer of security to prevent unauthorized access to your credit cards or any which mode of payment that you may use. Two factor authentication is mandatory in today’s fast forward world and so shall you get it with AccuWebHosting. It’s common for a website to get slower or go down altogether due to an increased amount of traffic. While this may be a common phenomenon, it’s detrimental to the health of the business or cause that the said website represents. How well your website performs under relatively high traffic says a lot about the performance of the hosting servers. Here’s the tentative performance test of a website hosted on AccuWebHosting. AccuWebHosting is a bit partial to Windows hosting. With that being said, you will get feature-packed Windows hosting at same rates as of Linux hosting. Also, its 99.99% uptime indicates superior performance and reliability anybody can vouch for. 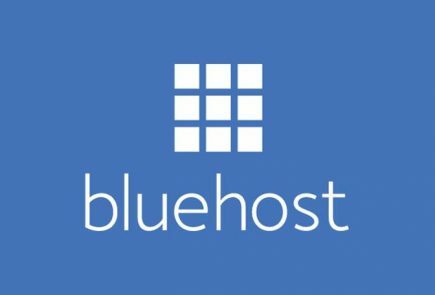 From a user-friendly SolidCP or Plesk control panel to easy third-party installations, there’s a lot of things that makes this hosting provider one of the preferred choice of site owners and developers across the board. AccuWebHosting is surely a made-for-tech-savvy hosting service but on the flip side, it’s user-friendly as well. This makes it suitable for a wide range of customers: beginner to intermediate and advanced. AccuWebHosting is a good Windows hosting service much as it is for Linux users. In either case, user-friendliness is maintained across all respective plans. AccuWebHosting takes regular backups to keep your data secure. It also enables you to restore your website to any desired point back in time. While this comes as a paid feature with most hosting providers, AccuWebHosting offers this free of cost. Backups and Restore are important, and it’s icing on the cake when they come as standard with your hosting plan. Additionally, your website will be monitored 24/7 to keep security threats at bay. AccuWebHosting lets you choose from a variety of hosting plans. You will also get a choice of Windows and Linux based hosting as per your development preferences. Both hosting types are powered by SSDs to deliver superior performance and speed. From basic shared plans to low cost Windows VPS, everything that you find at AccuWebHosting comes with a promise of satisfactory performance and reasonable pricing. AccuWebHosting does not stop at giving you a fantastic hosting service. With essential app integrations and add-ons, the experience goes above and beyond mainstream hosting. The more the merrier, right? Moreover, pre-installed WordPress and SEO plug-ins save you a great deal of time and hassles. You need them anyway, so why not have them pre-installed and enjoy prompt access? Eventually your website will grow and your current hosting plan might fall short. AccuWebHosting thought this through and came up with easy upgrade policy so that clients’ websites do not suffer any downtime while making the switch to an advanced hosting plan. Easy payment options for your peace of mind; plus new features will come into effect immediately. AccuWebHosting’s unlimited disk space and bandwidth are available with their basic shared hosting plan, and as you go up, you will get unlimited websites, databases and many other features to elevate your hosting experience. Unlimited hosting is a true delight and you can leverage all of it to grow your website without worrying about a thing. With AccuWebHosting, SSD storage comes as standard across all hosting plans, from shared to VPS through to Dedicated, whether Linux or Windows-based. SSD storage improves website’s performance, reduces page load time and are more reliable than conventional storage drives. It is not supported on shared hosting, but you can opt for VPS hosting plans where these features are supported. When it comes to customer support, AccuWebHosting stands neck and neck with leading hosting providers of the world. With round-the-clock Live chat support and phone lines that don’t keep you waiting for more than a minute, AccuWebHosting delivers a fantastic customer experience all over the world. With plethora of information available in the form of articles and tutorials, you can get instant support while on the go without having to strike a conversation with a human. These detailed tutorials, in most cases, prove to be more beneficial than tech-support as they entail in-depth information about the topic. AccuWebHosting provides 24/7/365 live support where knowledgeable technicians receive your queries and revert with succinct answers. Through my personal experience I can say that I didn’t have to ask twice to get the answer I was looking for. AccuWebHosting won’t keep you waiting for more than a minute or at most two minutes during peak hours. If you want to speak to a senior executive regarding a more complex issue, your call will be transferred in seconds and not minutes. They do not close their phone line or chat system except for maintenance, and these events are announced in advance. In tickets, they aim to get responses out ASAP, with a target time of no longer than one hour. If you ever have an urgent issue that you feel isn’t being handled promptly, you can let them know via phone or Live Chat, and they’ll be happy to have it escalated for you. They have a user forum where you can discuss all things related to hosting with seasoned experts of the industry and get relevant insights to assist your further course of action, whether to upgrade or not, for instance. Billing practice – can customers refund or cancel account easily? AccuWebHosting’s billing practice is fairly reasonable. They allow customers to cancel the service within their moneyback guarantee to get full refund, but they do not have pro-rated refund policy. AccuWebHosting enables users of a different host to migrate their website to any of their plans free of cost. AccuWebHosting may not be the cheapest but it definitely gives tough competition to mid-tier hosting providers that appeal to beginners and tech-savvy clients alike. The slightly higher cost is justified by essential features, such as SSD. Further, the affordable, self-managed VPS hosting plan is one of the many reasons why AccuWebHosting is a deserving host for your website. AccuWebHosting does not offer a free trial, but they do allow you to cancel your subscription within the first 30 days of sign-up and walk away with a full refund. It’s almost similar to having a free trial but with your money locked in for the time being. Their hosting is slightly more expensive for the first year than most bargain hosting providers, but that’s the price you pay to enjoy same rates at the time of renewal. No more cribbing about higher renewal prices or taking up unnecessary hassles for switching to a different host. AccuWebHosting goes by fair rules and practices, and this applies to their third-party upsells as well. If you want to enhance your experience as a site owner, or wish to give your visitors a better browsing experience, there are various apps and integrations to meet your underpinning objective. Their ’30-day money-back guarantee’ is an assurance that you are dealing with a host that’s worth its salt and true to its promises. If you don’t like their services, simply walk away with your money – no strings attached. They say more choices may perplex the user, but we say, the more the merrier. AccuWebHosting offers myriads of hosting plans so that you are more likely to pick the one that closely meets your purpose. 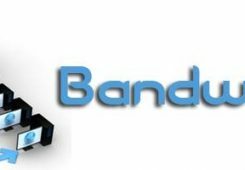 Apart from various hosting options, there are advance security features as well as several add-ons to enrich your experience as a website owner. AccuWebHosting provides Shared, VPS, Dedicated and Reseller Hosting plans for both Linux and Windows platform. No matter which hosting type you choose, you will further get a few options to choose from. Also, whether you want SSD or cloud storage is up to you, because ultimately, you matter. Any which storage you choose, high performance is guaranteed. One-size-fits-all hosting is so last year. If you are looking for options, AccuWebHosting is the place to be. Their shared hosting is divided into three categories, mainly for beginners, small businesses and medium-size enterprises. Based on your needs, you can choose the plan that best meets your budget. Another way of saying is that you don’t have to pay for something you can’t use or trade features with price and vice versa. 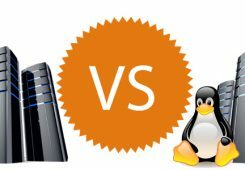 Following are the three shared hosting plans available for Linux users. AccuWebHosting offers shared hosting of the same echelon for Windows developers. The prices and feature are more or less similar but can create a considerable difference in the long run, with Windows being at the higher end of price spectrum. Their shared hosting is a perfect way to build your website and make it more than just a tiny speck on the World Wide Web. Ask hosting experts for the best recommendation for a beginner site, and Shared hosting would roll off their tongues faster than you could say anything. AccuWebHosting’s VPS and Dedicated plans are equally reliable but more powerful and expensive to support a website of any calibre. That’s why you need them when your website outgrows the basic shared plans. VPS hosting comes with scalable features and fast servers to keep your website running smoothly in the face of heavy traffic. VPS hosting is more advance but that shouldn’t be confused with complex. 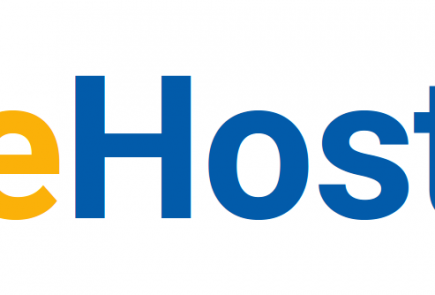 The hosting can be deployed and managed easily, even if you are a hosting rookie. Now if you want full control of your hosting and exclusivity of SSD-based servers for the best performance, a legit premium of $75 should get you what you came looking for. Self-managed and fully managed options are available on both Linux and Windows platforms to let you choose the desired course of action for your site. To give you a speedy website, AccuWebHosting lets you choose the data center nearest to your audience. Dedicated hosting couldn’t get any better than this. AccuWebHosting offers domain registration and calibrated hosting under the same roof. Enter the domain you are looking for and, if it is available, know the buying price right away. Available in three versions to choose from and compatible with nearly every browser, AccuWebHosting offers SSL Certificates that give you a 256-bits encryption level and meet your website security needs precisely. Easy to install and 24/7 support, you can secure a single domain to unlimited subdomains, depending on the plan you choose. AccuWebHosting provides a close-knit CDN to give users fast access to your website’s content. No matter from which part of the world your website is being accessed, the content will load quickly. CDN is also a confirmed ranking signal by Google, which means websites featuring CDN are more likely to rank better than websites which do not. Enjoy a spam-free email network and protection against phishing attacks, virus or any kind of online threat. AccuWebHosting’s anti-spam email is a proven way to protect your web resources and improve productivity. Enhance your hosting experience with a variety of online tools offered by AccuWebHosting, free of cost. These web and SEO analytics will keep you conversant with your website’s performance so that you can make improvements by using data and observations returned by these tools. AccuWebHosting is a reliable yet competitively priced hosting service, with its basic plan starting at $2.99 a month – certainly not the cheapest and there’s a reason why. AccuWebHosting is a perfect choice for individuals who want to launch their first site, as well as tech savvy developers who are looking for a decent hosting upgrade at a reasonable price. From shared hosting to VPS and dedicated server plans, AccuWebHosting provides something for everyone. If you are not satisfied with their performance or service as a whole, you can cancel your subscription anytime within the first 30 days and get a full refund. No questions asked. Website Hosting gets faster and more reliable with SSD storage feature, which is available across all plans of AccuWebHosting. Since there’s no moving part in SSD Storage, it lasts longer than its traditional counterparts. If you wish to move your website from a different host to AccuWebHosting, you can do so without paying anything extra. While many other hosting providers charge a migration fee, AccuWebHosting extends a warm gesture to its new customers by letting them make the switch free of cost. 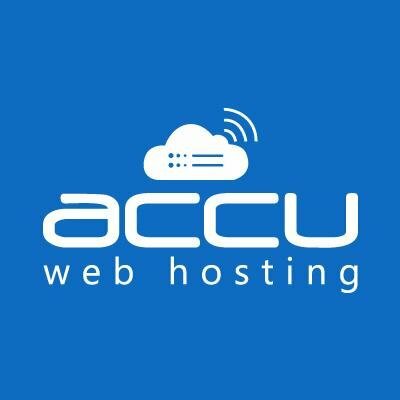 Q1: Does AccuWebHosting offer Windows hosting? Ans: Yes. AccuWebHosting offers Windows hosting with Shared, VPS and Dedicated plans. The service is priced slightly higher than its Linux counterpart, but the features that you get make those extra bucks count. Q2: Do I get unlimited bandwidth and disk space with AccuWebHosting? Ans: AccuWebHosting offers unlimited disk space and bandwidth on selected plans: VPS and Dedicated only. You will not get all things unlimited on shared plans, but the offerings are sufficient to sustain your basic website. Q3: Does AccuWebHosting offer free migration assistance? Ans: If you want to switch over to AccuWebHosting, you will be welcomed wholeheartedly at zero additional charges. Pay only for the hosting package that you choose. Not only this, their customer representative will make the transition smooth and stress-free so that you can focus on running your business. Q4: Do I get SSL certificate with AccuWebHosting? Ans: AccuWebHosting provides three versions of SSL certificate ensuring 256-bits encryption levels to secure any number of domains and subdomains and supporting more than 99% of browsers. Prices starting at $49 a year, this doesn’t look like an additional expense at all. Rather it’s a value-for-money purchase that will protect your website from hackers and phishing attacks. Q5: Is it possible to host my Magento website on AccuWebHosting? Ans: Yes, You can host Magento website on their shared and VPS hosting plans. The support will be as good as any Magento-exclusive hosting provider, but you will get a handful of features less with AccuWebHosting. Q6: Does AccuWebHosting take automatic back ups? Ans. Yes, they do take automatic backup of shared as well as VPS Plan so that your data remain protected should any catastrophe strikes. With simple restoration option, you can restore your website to a point back in time where it looks like how you want. Q7: How many email addresses does AccuWebHosting provide? Ans: AccuWebHosting offers up to 1000 email accounts with their top-flight shared hosting, but if you want unlimited email accounts, you can go with the Linux VPS hosting. Q8: Will I get CDN with AccuWebHosting plans? Ans: Yes. AccuWebHosting provides CDN to give your users fast access to your website, no matter where they are located. It’s easy to use and gives a little push to your website up in the Google ranking. Q9: Does AccuWebHosting offer Money-back guarantee on all hosting packages? Ans: No. They offer Money back guarantee in Shared and VPS Plans only. In Shared Plan, you will get 30 days money back guarantee. In VPS Plan, you will get seven days money back guarantee. Ans: AccuWebHosting provides reseller hosting for both Linux and Windows users. With price starting at $8.54 and insanely fast SSD storage, you can give your clients an impressive hosting service and take all the credit for it. Q11: How many programming languages does AccuWebHosting support? And: AccuWebHosting supports almost all languages, such as PHP, ASP.Net, Pearl etc. Q12: How can I reach AccuWebHosting’s customer support? Ans: AccuWebHosting is available at your disposal 24 hours a day, 7 days a week. You can reach them via phone, live chat or generate an email ticket to get your query resolved in less than an hour and also get a track record for future reference. Their phone-line and live chat are highly responsive and friendly, and are available for customers and non-customers alike. 30 Day Money-back Guarantee : If you are not satisfied with their performance or service as a whole, you can cancel your subscription anytime within the first 30 days and get a full refund. No questions asked. SSD Storage : Website Hosting gets faster and more reliable with SSD storage feature, which is available across all plans of AccuWebHosting. Since there's no moving part in SSD Storage, it lasts longer than its traditional counterparts. Free Migration Service : If you wish to move your website from a different host to AccuWebHosting, you can do so without paying anything extra. While many other hosting providers charge a migration fee, AccuWebHosting extends a warm gesture to its new customers by letting them make the switch free of cost. AccuWebHosting is a reliable yet competitively priced hosting service, with its basic plan starting at $2.99 a month – certainly not the cheapest and there's a reason why.